Look the race-spec Aston Martin Vantage GT3 dead in the eyes, and there’s a good chance that, at least for a subconscious second, the brain is going to redirect to watches. Watches and high-end cars are a long-standing natural fit. Craftsmanship, quality, precision, attention to detail, etc., make for an easy pairing, and prolific watch advertising in motorsport helps cement the connection. The most often result of such teams is a special-edition watch, but TAG Heuer and Aston Martin wanted to do more on the heels of their partnership announced in fall 2018. 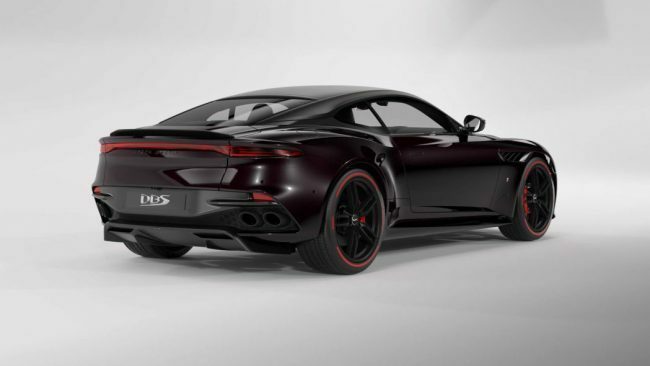 The deal is not solely for the track, however, as the two have announced the limited-run Aston Martin DBS Superleggera TAG Heuer Edition, which will come with a unique watch. The details are limited, but Aston Martin did drop a few photos of what the car will look like. As all examples are a fixed specification, every car will feature a Monaco Black paint job with carbon fiber aero pieces. Red accents, such as Pirelli color edition tires that match red brake calipers add a bit of flare. The guts match the skin, as red stitching, red piping, and red bits are seen throughout the black cabin. Triangular quilting is seen on the seats, the center armrest, and the door panels, and TAG Heuer logos embroidered into the seatbacks. Aston Martin did not release cost for the special-edition ride, but it will surely be pricey. Only 50 examples will be built. We also haven’t seen what the watch itself will look like, but we’ve asked Aston Martin about it and will update this post when we hear more about it.